IT’S been a pretty big week or so for the BMW-owned MINI, with the launch in Australia of its Millbrook Edition of the John Cooper Works hatch, and the unveiling of its 60th anniversary model in Germany. The sporty Millbrook model, limited to just 20 examples in Australia, comes in an exclusive Ice Blue paint finish, and is complete with bespoke identifying badgework, and an additional driving light and cover set. Inside, high-end lounge leather upholstery and seat heating are standard, along with piano black dash surfaces and an 8.8-inch infotainment system with MINI connected 4G, wireless phone charging, Bluetooh and Apple CarPlay. 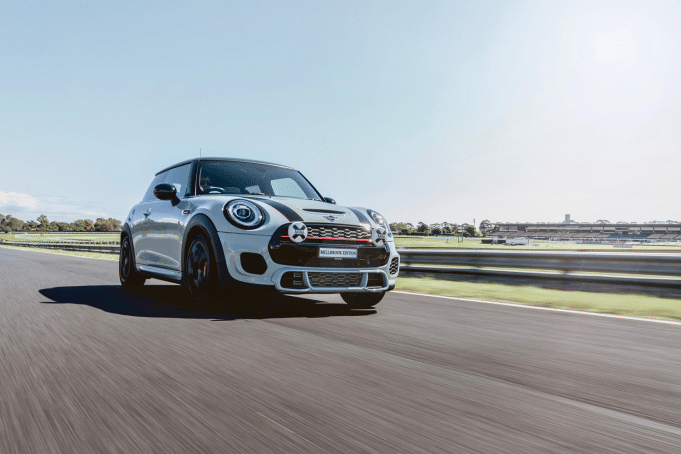 It’s powered by a 2.0-litre turbocharged 4-cylinder petrol engine with specific JCW tuning, generating 170kW of power and 320Nm of torque, mated to an 8-speed sports auto transmission with paddle shift and launch control. The JCW MINI also comes with SatNav, HUD, a 12-speaker harman/kardon sound system, adaptive suspension, park assist, LED headlights with Union Jack-styled LED tail lights and high-quality anthracite roof lining. Set to land in Australia before the end of March, the Millbrook Edition will be priced from $57,275 plus on-roads, and comes with black 17-inch light alloy wheels and performance tyres. MINI will also celebrate its 60th anniversary with a special new 60 Years Edition model, available in three and five door variants, with four engine options on offer. It will be available from March 2019 (a local launch date and pricing is yet to be determined). It’s available in British Racing Green IV, or alternatively, Midnight Black metallic, Moonwalk Grey metallic, Melting Silver metallic and MINI Yours Lapisluxury Blue non-metallic, combined with either Pepper White or Black for the roof and exterior mirror caps. Bonnet stripes and exclusive 2-tone spoke 60 Years 17-inch light alloy wheels also provide a distinctive look to the anniversary model. The special 60 Years logo also appears on the left hand bonnet stripe, side scuttles of the turn indicators and in the front door sills. It can also be seen on interior trim, front headrests and the steering wheel, while it’s also found in the LED logo projection when opening the driver’s door at night. And there’s an exclusive dark maroon interior in leather lounge finish as well. Anniversary variants also feature LED headlights and fog lamps, white turn indicators and LED rear lights in Union Jack design, while there is also an on-board computer, automatic air conditioning, a rain sensor and a storage package on board. 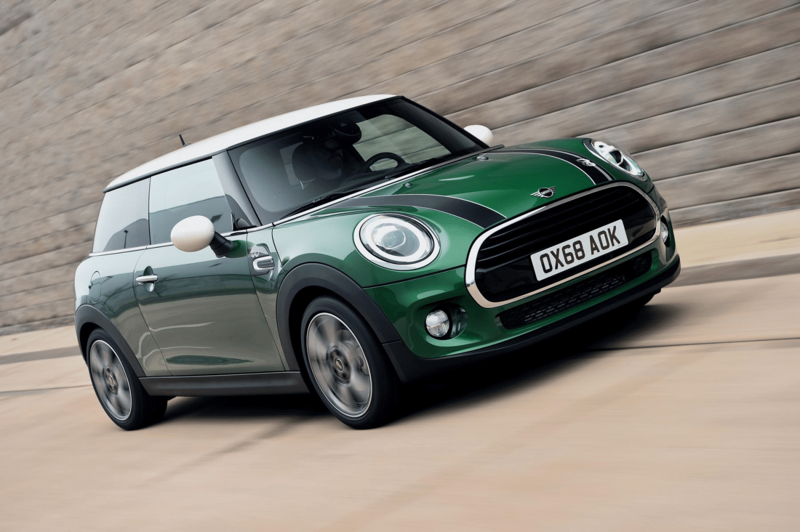 Two petrol engines and two diesel engines with an output ranging from 100kW to 141kW provide the drive portfolio for the MINI 60 Years Edition, available in 3-door petrol and diesel, Cooper S and Cooper D and Cooper SD. It’s also available in 5-door Cooper, Cooper S, Cooper D and Cooper SD variants.